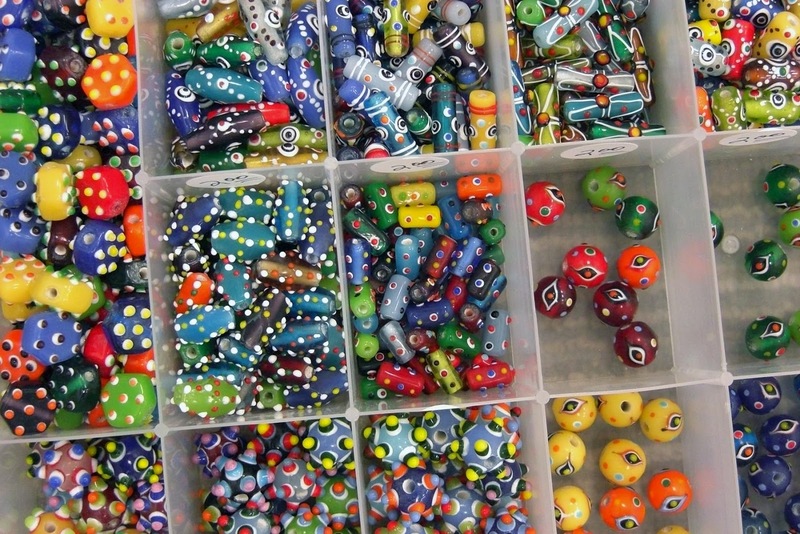 It's almost impossible for me to resist the urge to paw through a cache of beads. Becky Hancock, proprietor of Saint Theresa’s Textile Trove, has uncounted numbers of beads. She knows where they came from and how each type was made. This box is my current favorite. Most of the beads sport dots; vibrant little punctuation marks that encourage me to keep looking and touching their cool, bumpy surfaces. Some are eye beads, thought in many cultures to help ward off bad luck. No bad luck here, just joy in a box of beads.